Rated 5 out of 5 by duckyxoxo from Amazing! I loved everything about this game and was glad to purchase it and have played it multiple times. It is such a fun game, challenging, funny, clever, and over all amazing. I own this version as well as the other grave mania. So much fun. Rated 5 out of 5 by beltie from Even Better than the First The first Grave Mania was fun and this one is even better. Same style of play. Nice graphics, good flow, cute storyline. Has mini-games as well. I enjoyed the ones in this sequel more than the first. Good replay. Can play levels over again to improve score from regular to expert to perfect. This one added a "freezer" instead of a potions bar, where you can strategically store a monster. An added plus to game play. Hope they come out with a third. Really enjoyed the series. Great job! 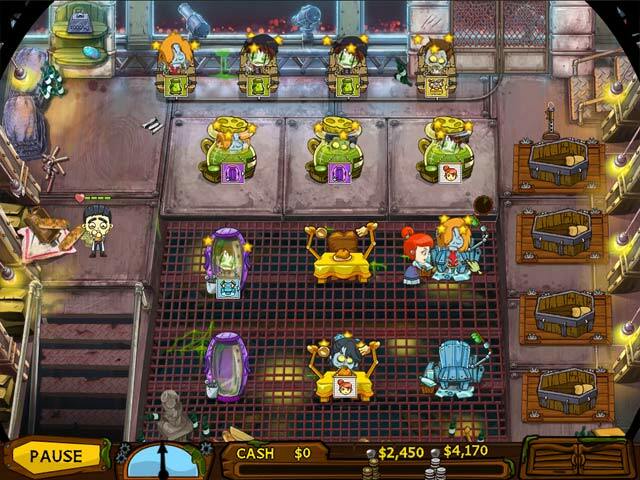 Rated 5 out of 5 by BlackWaterRules from Totally Fun Time Management Can you wash zombies off, straighten their bones, feed them, and send them to a tooth brush station then on to their coffins where they are ejected into the graveyard, all the while new zombies are coming in and trying to escape? This is total fun as each level gets faster and more and more complicated. The graphics are bright, clear, crisp. Directions for the game are easy to follow. The soundtrack is so light and upbeat it makes the game fun considering the subject is so dark: zombies. LOL. Try this one you will love it. 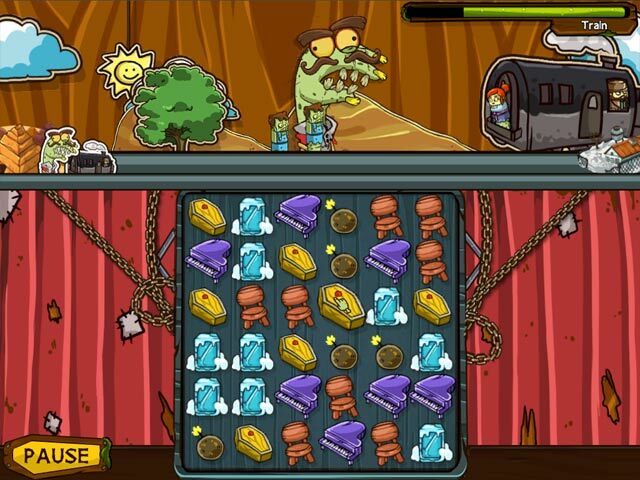 Rated 5 out of 5 by sparklefish777 from Fun Zombie Spa Game! Ok, it's not exactly a spa, but its definitely close to one! Prepare the zombies for burial by putting them through different chambers such as washing them and feeding them a meal. Characters are so cute with just the right amount of creepiness. 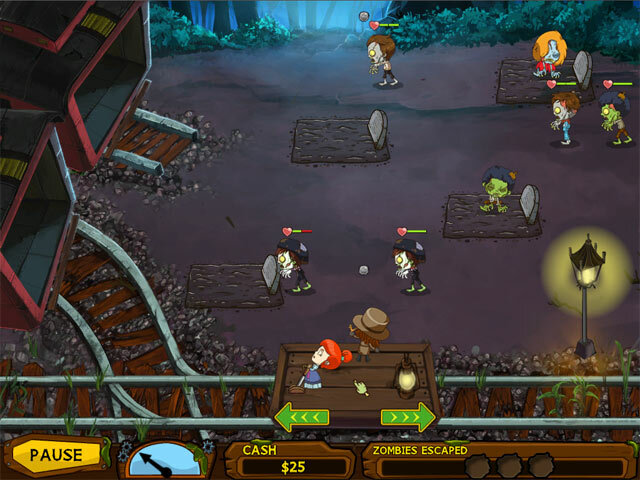 You must serve your zombies quickly or they will get up and start wandering around. Then you'll need to whack them with your mallet! As a lover of spa themed games, I thought this was great! Give it a try! 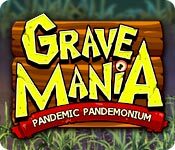 Rated 5 out of 5 by Lorrie28 from So Much Fun I played the first Grave Mania and loved it, so as soon as I saw the sequel I bought it. It's even better than the first one. With all the mini game challenges added and a good story, this game was so much fun to play. I enjoy Time Management games and this one is a definite favorite. Rated 5 out of 5 by TalosPrime from zombies! Love this game. A great followup to the last one. Nothing like a light hearted take on the whole zombie apocolypse to make for a fun way to spend a rainy day. Rated 5 out of 5 by kityzkatz03 from Finally! A fun TM game To say the least - I have been completely bored out of my mind with HO and these build-a-lot style games. That is all that has come out lately. This game could not have come sooner. Just like the first version - you are off preparing zombies in a salon like setting. This version appears to be longer with added bonuses and more mini games. There are also badges to win throughout the game. If you are tired to the same games that keep coming out - then here is a little refreshing, enjoyable game to pass the time away. Rated 5 out of 5 by RRTTR from WOW I was in love with the first one but this one is even better. The mini games with the husband character I found almost impossibly hard. That sling shot don't fire fast enough, lol I recommend this for anyone like myself who is master of time management. To get that perfect on every level, takes more than one try. I wish they made more of these. The tale is funny and the music is actually good and not annoying. I'm so use to the music annoying me a muted it before hearing it. By accident I discovered the music to be enjoyable. I can't wait for number 3, I really want to see how the story ends.